I admire Filipinos who are proud of their roots and make a name for their country. Such is the story of Chef Myrna Segismundo, one of the most respected chefs in the Filipino food scene. Chef Myrna always believes that Filipino cuisine deserves to be celebrated. She passionately advocates that Filipino cuisine should not be limited as a mere comfort food favorite at home. 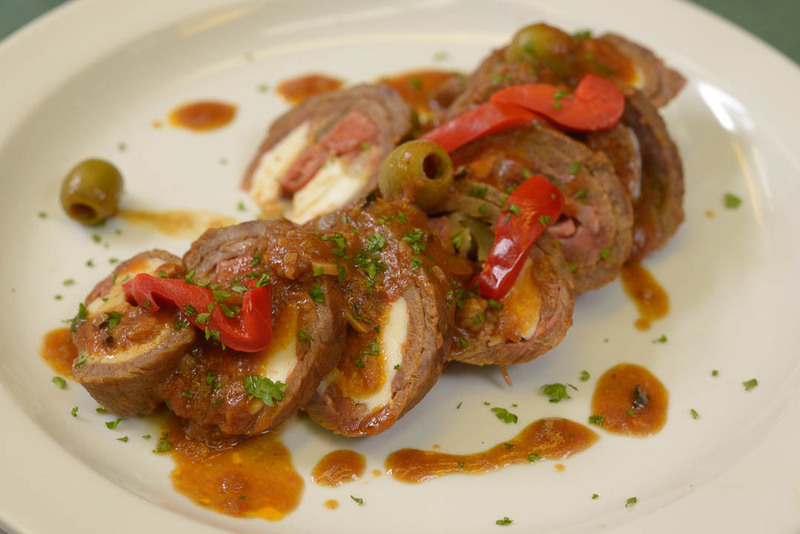 Chef Myrna elaborates that we should be proud of our delicacies and share them with the world. She has worked in the finest hotels in the Philippines and New York City. This chef has authored two books. She is also an editor-in-chief of a food magazine and a host of two cooking shows. Now, she brings her expertise and passion to The Maya Kitchen Culinary Elite Series. I like it when Chef Myrna shared that Filipino food does not need to be made gourmet nor fused with other cuisines to be good. Filipino cuisine is always appreciated because of its sheer deliciousness and uniqueness. More than that, our food holds a special place in everyone’s heart. It’s special because we always associate it with the memories and emotions attached to it. Filipino food reminds us of home, family, and of comfort. 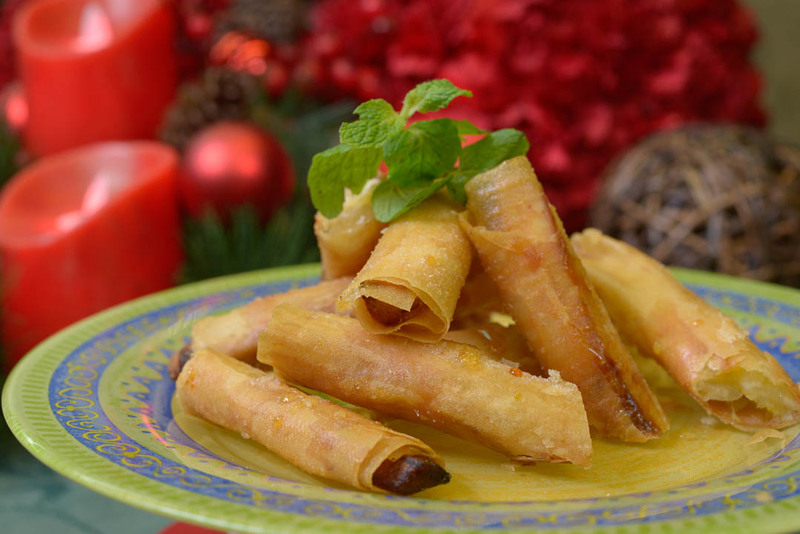 It is for this reason that Maya Kitchen encourages us that for this holiday, we serve our loved ones Filipino Flavors of Christmas. Chef Myrna, during a demo show, taught the Culinary Elite Series participants how to whip up a special feast for family and friends this season. A few of what she prepared were delectable appetizer Adobo Pate, and a fresh Salad of Ubod and Pomelos with honeyed-patis dressing. She also cooked a hearty and filling Morcon a la Emilia. Before the demo ended, she also introduced Turones de Manila with a bit of whiskey and ice cream. Our good chef reminded participants to keep the flavors and ingredients local as much as possible. She stressed that traditional dishes such as adobo and turon can be made with a twist, yet still give us the familiar and cherished memories we have of our Filipino food favorites. And because Chef Myrna’s dishes highlighted the tastes we’ve grown up with, cooking these holiday dishes will become fun than challenging. I am positive you will pick up more cooking techniques and lessons from Chef Myrna. No doubt as well that you will have a renewed appreciation for Filipino food when you join her at The Maya Kitchen Culinary Elite Series. Anyone with a passion for food, cooking, and learning can join in. Aside from Chef Myrna, more of the country’s best chefs and restaurateurs will be sharing their skills and knowledge in the Culinary Elite Series. Want to serve something delicious and unique yet reminds your loved ones of home, family, and of comfort? Enroll now at The Maya Kitchen Culinary Elite Series. You still have time to learn and prepare. I love Filipino foods. And because I’m loyal to Filipino foods, hinahanap-hanap ko siya pagnagtravel kami, lalo na sa country na di uso ang rice.hehehe! Christmas is near and I have no menu plans pa. I love Filipino food. It’s my favorite cuisine. Next are Spanish, Italian and Thai. I agree that these are not only comfort food. I’ve tried many Filipino food with a twist and they were very good! Wow, the food all look so yummy. I agree with the Chef. Filipino food should definitely be celebrated and shared with the world. Filipino food is one of the greatest things about our country. I dont know if its just me, but It feel Chrisrmas time more with Filipino dishes on the table. Having crispy pata lechon manok , embotido paired with honemade desserts – ube and lechenflan are family traditions. I love Filipino foods,iba talaga ang panlasang pinoy! Parang ansarap ng Turones de Manila, sarap na dessert! This Christmas, I wish to cook morcon or roast chicken for the first time. Nagutom tuloy ako. hehe!